Dimensions 8 ft. x 8 ft. I bought this for my son's room to be the "water" under his boat bed. The color is perfect but the quality is way better than I had even hoped for, SO thick and soft. Both of my kids had fun rolling around and snuggling with the rug like it was their favorite blanket. I love the beautiful bright color. Delivery was super fast. The bag was slightly torn but the rug was fine. "has anyone ordered the blue? if so is it more of a teal blue or a sky/light blue?" 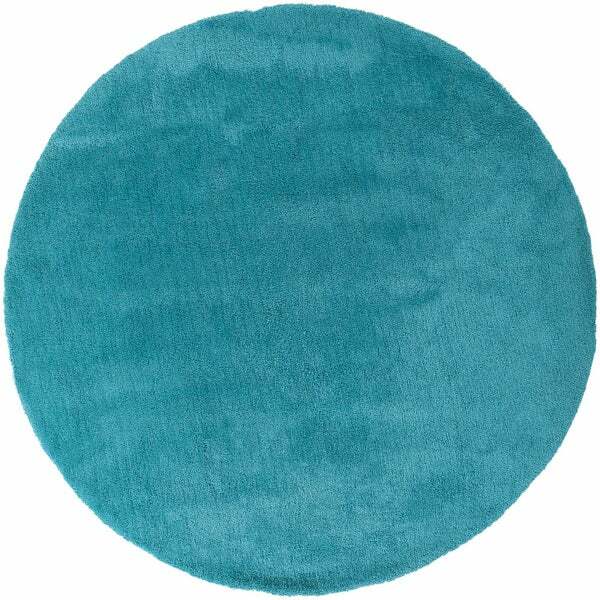 "This rug looks more like bright teal blue. Is it true or it is really just blue. Thank you." We try to represent the colors of our products accurately, but unfortunately due to the difference in monitor colors we cannot guarantee that the color will match exactly what you see on your screen.